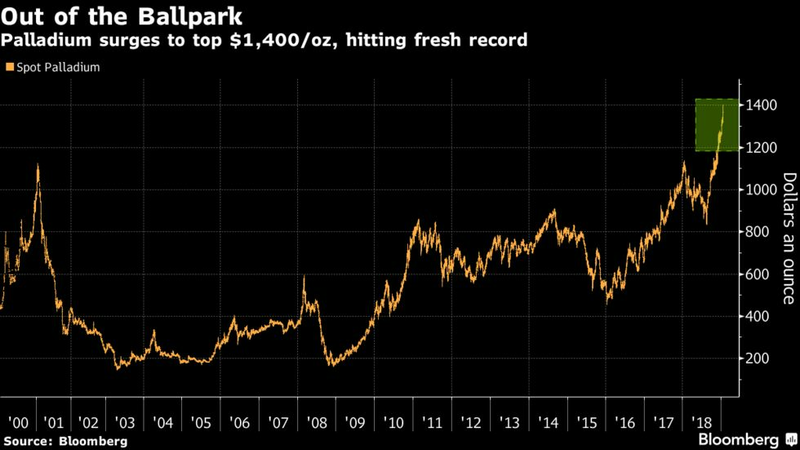 Palladium held gains after rocketing through $1,400 an ounce for the first time, extending its gravity-defying rally even amid signs that global vehicle sales are slowing. The precious metal, primarily used in the auto industry for catalytic converters, has surged more than 60 percent since the middle of August. The bull run has been driven by an acute shortage of immediate supply as car manufacturers scramble to get a hold of the metal to meet more stringent emission controls.